Yes, you can! Simply head to the Delivery schedule section of your account. Please note — you are only able to skip or makes changes to the upcoming 4 deliveries. If you'd like to cancel all future orders, please reach out to us at care@nomnomnow.com or (415) 991-0669 before your order deadline. - Travel: Let us know in advance if you will be out of town and we can send you extra food to take on your trip with you. We also allow you to redirect deliveries to a different address with each delivery. There's no additional charge for sending food to another address (whether it be your pet sitter or a boarding facility). - Picky eater: Some pets are finicky, but we have a few tips and tricks to help! Try warming food, or sprinkling a little cheese on top. You can also give our Recipe Rotation and Mixed Recipe features a try to add some variety to every order. Or, contact us for more custom solutions! Whatever it is, they shouldn't have to sacrifice their nutritious diet and we can make sure they don't have to! 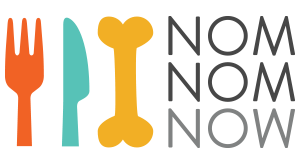 - Mixing NomNomNow with another food: We understand that some pet parents may prefer to only include only some fresh in their pets' diets which is why we're happy to offer partial portions (a great cost saving option as well!). - Account closure: Please call or text us at (415) 991-0669 or send us an email at care@nomnomnow.com before your order deadline to ensure we are able to stop all future deliveries. One thing to take into consideration — pets fed a fresh diet will have changes in the bacteria in the intestines to help them to process and digest the unique ingredients in NomNomNow diets. A switch to a different diet during the time you are skipping may cause digestive upset like vomiting or diarrhea (especially one which is not fresh and even for a short period during the time). If your delivery day is Friday or Saturday, you may make changes up to 12 pm PST noon on the Sunday prior to your next delivery. If your delivery day is Wednesday or Thursday, you may make changes up to 12 pm PST noon on the Thursday prior to your next delivery. Why do you add oils to your recipes?